I’ve never read a book by Patrick Ness, but was intrigued to pick this one up by the title and the cover illustration. I thought maybe it was a horror type book, and it is in a way, but not in the way I had expected. It’s an emotional story that is an uncomfortably realistic portrayal of the emotions felt when dealing the terminal illness of a loved one. I was warned that this book is a tearjerker, but I didn’t anticipate that it would get to me the way that it did. A very powerful read.A Monster Calls tells the story of Conor, whose mother faces terminal cancer. Conor’s world has been turned upside down as he is hit with the one-two punch of his parents divorce and his mother’s illness. His schoolmates know about his mother’s diagnosis and now they either ignore him entirely or bully him. Now, his grandmother is playing a bigger role in his life, much to his dismay. When the monster, in the form of an old yew tree, starts to appear, Conor thinks it’s another one of his nightmares, though there is physical evidence to the contrary. 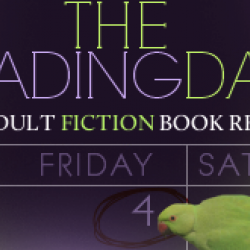 The monster appears at precisely 12:07 every night to tell three stories to Conor, and then Conor needs to share his own truth with the monster. He has been bottling everything up inside, and telling the truth seems like an impossible task.Conor’s faced with huge life challenges at such a young age, and it’s impossible not to feel compassion towards him. His internalized pain is eating him alive and made me ache for him. I also found the scenes with his grandmother to be the most surprising and touching. The Monster’s relationship with Conor is also interesting, as he becomes a support system in a way for Conor.In addition to the compelling and beautifully written story, I found this book to be therapeutic with regards to understanding the grieving process. It really resonated with me and left me with a deeper understanding and comfort with the issues that Conor faced. Though this is a middle grade book for younger readers I think many adults will appreciate this book and may find it healing as well.The illustrations by Jim Kay are powerful and suit the book perfectly. 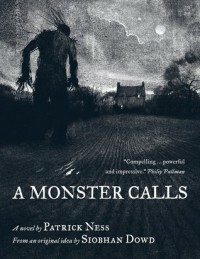 The hardcover book would showcase the illustrations better than the e-book in this case.I’m eager to read more of Patrick Ness’s past and future books and I highly recommend A Monster Calls. A beautiful read.